Three Ring is an amazing free resource for creating and sharing digital portfolios of student work. Have you ever heard of a great free app but when you went to the App Store, it was no longer free? App prices are changing constantly and many apps often go free for a limited time. How can you be sure to catch a specific app when it's free? It's AppShopper to the rescue! 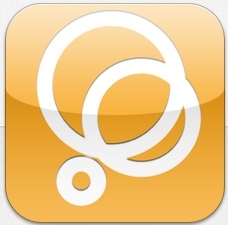 AppShopper is a great website for tracking app prices. Start by creating a free account at http://appshopper.com/registerWeb. Then use the Search box to find apps. Each app has a page with the full description and screenshots from the App Store. Click the "Want it" box to add the app to your Wish List. Once you've added apps to your Wish List, go to the Wish List tab at the top of the page and then scroll down to the Price Drop Notifications section. 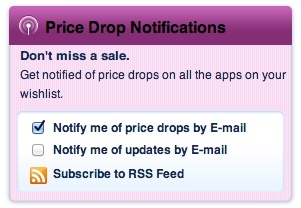 Check the price drops box to have AppShopper send you an email any time one of your Wish List apps goes on sale or free. Pretty cool, right!